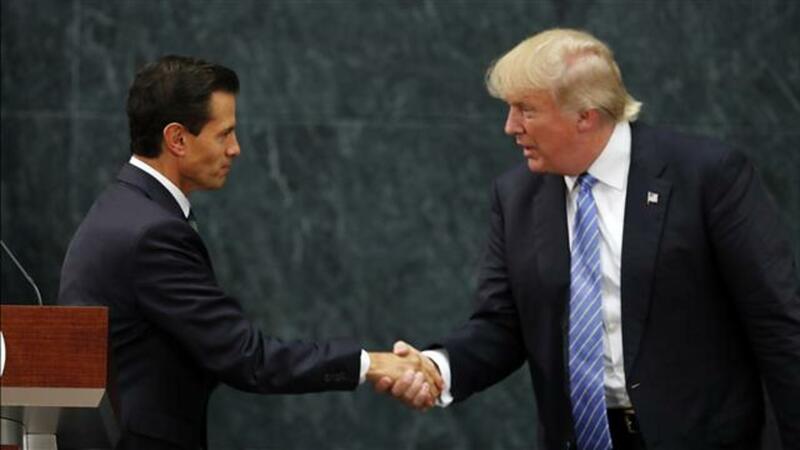 Former New York City Mayor Rudy Giuliani said Sunday that Mexican President Enrique Peña Nieto breached the terms of an agreement with Donald Trump's campaign by asserting during a meeting last week that Mexico is not going to pay for Trump's proposed wall along the US-Mexico border. In an interview on CNN's "State of the Union," Giuliani said that the campaign and the president's staff agreed before the meeting between Trump and Peña Nieto last week that they would not discuss payment for the proposed wall, considering Mexican leaders have dismissed Trump's promise that the country will pay for construction of the wall. "We had ground rules for this meeting and one of the ground rules was we weren't going to discuss paying for the wall, because that's not something we're going to agree about," Giuliani said. He added: "What we wanted to do was find areas of common agreement. And maybe the president's staff didn't brief him on it, maybe the president forgot it. But he brought it up. It wasn't at the beginning, it was sort of in the middle of the sentence, and I just briefly said 'That's not on the table.' And the reality is they have a disagreement over that." Giuliani's admission that the topic was briefly broached is one of the first direct acknowledgements from the campaign that payment for the wall was indeed brought up during the meeting. At a press conference after the meeting on Wednesday, Trump denied that the two leaders discussed payment for the border wall. Shortly after the press conference, Peña Nieto took to Twitter to announce that he had told Trump Mexico will not pay for a wall. The Trump campaign has attempted to push back against Peña Nieto without directly denying that the topic was discussed. In an interview on "This Week" on Sunday, ABC's Martha Raddatz asked Trump Campaign Manager Kellyanne Conway whether Peña Nieto was not telling the truth about whether a conversation regarding the border wall took place between the two leaders. "Well, they disagree on that conversation," Conway said.